Last week, the Goldwater Institute represented two nonprofit organizations—the Colorado Union of Taxpayers Foundation and the TABOR Committee—in a Denver bench trial in Denver, Colorado with implications for privacy, free speech, and the public’s “right to know” the identities, occupations, and employers of nonprofit donors. As I discussed last week, the centerpiece of the trial was testimony from four different individuals who have worked in the nonprofit world for decades—testimony that centered on various forms of ideological harassment that each of them has endured over the years. I won’t recount that testimony here since it was the central element of my earlier post, but suffice it to say that the testimony was vivid, compelling, and painted a troubling picture of what some nonprofit employees endure at the hands of people who disagree with them. 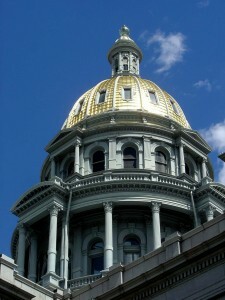 A new poll was released indicating overwhelming support of Colorado’s Taxpayer’s Bill of Rights, which most Coloradans lovingly refer to as TABOR. Fully 71 percent of the 500 Coloradans surveyed expressed support for the policy, and lest you think these numbers are skewed, the breakdown of who was asked is… rather reflective of an actual election in Colorado: 37 percent of respondents were either unaffiliated or members of a third party, 32 percent were Democrats, and 31 percent were Republicans. TABOR, the Taxpayer’s Bill of Rights, is an amendment to the state constitution passed in 1992 which requires state and local government to seek voter approval in order to raise taxes and also limits growth in state spending to population growth plus inflation. If the state collects more revenues than it is allowed to spend, then it must return the surplus to the taxpayers. To put it another way, TABOR allows the people of Colorado to decide amongst themselves on tax increases. It’s one of the most publicly-empowering policies in the entire country, and, yeah, it’s pretty freakin’ popular in our beloved state. Remember this when Democrats at the State Capitol introduce legislation that either puts a dent in, or otherwise seeks to circumvent TABOR. Every time they do it (and trust us, they do it), Democrat lawmakers are implicitly telling us that we’re not smart enough to determine our own state’s financial future. For our part, we trust your gut on TABOR. And you’ll be happy to know that you’ve got a lot more friends than foes. Your Colorado TABOR team is overwhelmed! Would you be willing to assist us? Read below to see if you can provide any help! Be a media producer! The TABOR Foundation’s mission includes outreach to people who have not heard about the Taxpayer’s Bill of Rights and to supporters who want more intellectual ammunition to talk about TABOR. At one point, we had the facility, the interview talent and eight guests scheduled. A technical barrier to posting our podcasts then took some time to overcome. We would like to proceed, but now, for want of leadership and management, we have been unable to move forward. Please help us solve that problem and continue the program. Requirements: We seek a volunteer who in 2019 will donate about 40 hours between now and early November. The time demands most likely would be in “spurts,” that is, six different projects in which about six hours of your time would be needed over the course of about three weeks, with breaks in between during which little or no time would be asked. The individual we seek has to be well organized and able to gently but persistently move other volunteers to act. You would get to know the people who supply both the taping equipment and the interview skills. For each podcast, you would coordinate the schedule to bring together the person to be interviewed, the taping technician and the interviewer. You would obtain in advance from the Foundation the questions that should guide the interview. You would attend the interview and address any problems. You would work with others or on your own to edit the podcasts for content and flow, with the help of the taping technician. You would coordinate with the web master to post the completed podcast. You would solicit other advocacy groups to link to the podcast and notify other media of its availability. Throughout the year you would report to, and keep apprised, the Foundation’s Executive Director. The TABOR Foundation needs to replace an activist who has excellent skills in defining the TABOR outreach message but must relinquish that role. She also has been organizing the resources necessary for successful presentations. Requirements: A volunteer who in 2019 will donate an average of one to two hours a week to manage the Speakers Bureau and continue to weigh political developments and reactions to keep the speakers group prepared. There is also a need to organize one-time training sessions to improve the preparation of speakers. One training session would be for TABOR content, delivered by an experienced TABOR speaker. A second session would be to hone the speakers’ presentation skills, to be led by a professional trainer. Time would also have to be given to ensure consistent promotion is ongoing. There are more speakers ready to make more TABOR 101 presentations than we have venues to deliver the message. One person has been active in soliciting invitations, but needs assistance. The TABOR Foundation needs another person to call political clubs and civic clubs along the Front Range, and perhaps eventually to expand into other areas of the state. The objective would be to generate four invitations per month, which then would have to match the invitation with an available speaker and communicate the key logistical information and coordinate use of the PowerPoint equipment. The individual doing this work needs to be a self-starter with a commitment to keep after the goals, in what often proves to be a frustrating and drawn-out effort to identify program directors, ensure that duplicative calls are not going out in conflict with the other caller, and the need to recruit the best person to speak from our portfolio of volunteers. Rumor has the TABOR Committee expecting that a new 1% payroll tax will be called something else by the legislature, so no voter approval will be allowed. Learn how to track the introduction of new bills throughout the session (or exercise your knowledge if already familiar). Once introduced, notify the Committee and keep us apprised of the progress of the legislation – when people can testify, revisions to the fiscal note, and so on. Very likely there will be additional collaboration / coordination with other groups concerned about the bill. A wild guess is that tracking will take 15 minutes a day until the bill dies, is passed, or session ends in May. Additional communication may take one or two dozen hours. A related task would be to generate guest columns in several major newspapers, a task that could double the time you contribute. The TABOR Committee benefits from having two attorneys staying on top of a new threat to TABOR. One of our Board members, Rebecca Sopkin, and our corporate attorney, Bill Banta, have been watching the developments of a proposed measure that would repeal TABOR in its entirety. The initiated ballot issue would have to collect signatures first before going on this fall’s ballot. The first Title-Setting Board hearing rejected the proposal because it violated the single-subject requirement. After all, the Taxpayer’s Bill of Rights deals, among other things, with taxing limits on all levels of government, the same for spending limits, specific election requirements, notification requirements, emergency spending and state mandates. The proponents of the measure appealed the initial single-subject ruling, asking for a rehearing. On February 6, at the rehearing, the Title Board upheld its prior decision. Therefore, no title is presently approved for the repeal initiative. The system is set up to move along faster than normal for any further appeals. The proponents (Carol Hedges and Steve Briggs) may appeal directly to the Colorado Supreme Court to reverse the Title Board’s decision. That skips hearings at the trial court level and the Appellate Court level. There is no automated system to notify objectors (i.e., the TABOR Committee) if that appeal is filed, but our volunteers will keep monitoring for further developments. On Jan. 15, a briefly worded initiative was presented to the Colorado Title Board for consideration to be placed on the 2020 ballot. The brevity of the proposal was commendable. Five words was all it needed: “TABOR – Repeal (Full TABOR Repeal).” Though speculative at this point, defenders of Article X Section 20 of the Colorado Constitution — better known as the Taxpayer’s Bill of Rights (TABOR) — should prepare for a fight in 2020. Where is Colorado from a fiscal perspective? According to the States Project, Colorado ranks 30th in the country for total state debt (including unfunded liabilities) as a percentage of gross state product. The Mercatus Center ranks our state as 28th in the nation regarding a combination of solvency for cash, budget, long-run spending, service-level flexibility, and unfunded liabilities. U.S. News ranked Colorado 31st in fiscal stability. It would seem Colorado is middle of the pack at best. TABOR did not ruin our state’s ability to manage the general fund. The TABOR Committee is one of two plaintiffs in a lawsuit regarding the City of Denver’s draconian campaign finance rules. We fear that simply taking a position on a lawsuit forces our Committee, which is organized as a non-profit corporation, to turn into an Issue Committee, with all the reporting requirements and deadlines. That would mean opening our records to inspection and violating the trust placed in us by donors who demand and expect their donations not to be disclosed to the general public. We are represented by the Goldwater Institute, which is concerned that the Left is pushing this idea across the nation, which will result in further restrictions on 1st Amendment speech. Last week, we lost the trial on standing grounds. Although the judge found testimony from the TABOR Committee and CUT credible, he ultimately held that we had not shown that CUT and TABOR were likely to trigger the provisions of the Denver donor-disclosure ordinance in the near future. Is Colorado a blue state now? Not necessarily, suggests a new CU Boulder survey that paints the state’s voters in more nuanced shades. The third annual Colorado Political Climate Survey released in full today, found that while Democratic candidates did sweep statewide races on election day, registered voters remain split on hot-button issues, such as fracking and whether businesses have the right to deny services based on religious beliefs.